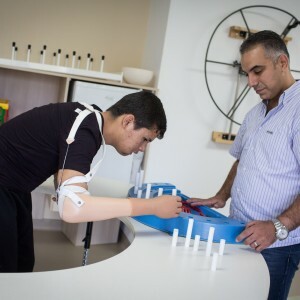 Today, World Rehabilitation Fund continues its work to transform disability into possibility to ensure that all people, regardless of disability, have the right to participate fully in their communities, to attain education and viable employment. It is our hope that together we can continue and expand these life-changing, innovative and transformative programs which improve the lives of persons with disabilities around the world. WRF’s global programs benefiting Women and Children encompass all sectors of work and are aimed at empowering women and children to achieve their rights. In addition, WRF undertakes a number of Short Term Projects in Prosthetics and Orthotics. Click here to learn more.